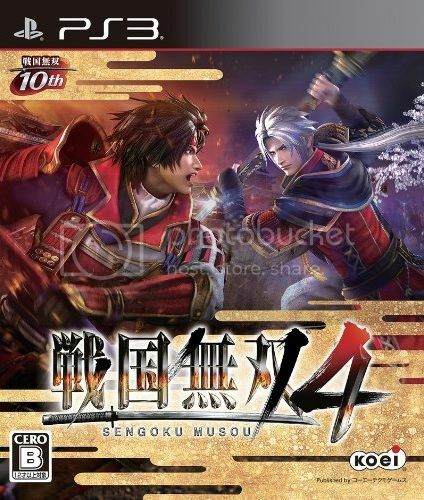 Most of you who know me, know that I am a huge “Warriors” fan, Dynasty Warriors being my favourite, followed by Samurai Warriors and it has seemed like an extremely long time since I last played a Samurai Warriors game. The game features a character-switch feature, similar to the spin-off, Samurai Warriors: Chronicles, where players can take two characters in battles. Two new moves, “Godspeed Action” and “Secret Musou” are featured: “Godspeed Action” is a move that allows the player to clear out crowd of enemies, although it is useless against enemy officers, as they will either deflect or otherwise immune against it, while Secret Musou enhances the player’s attacks as well as changing their usual Musou attacks with stronger “Ultimate Kaiden Musou” by using the Spirit Gauge. Duels are featured, which occur when player-controlled character meets with enemy officers under specific conditions. The create-a-warrior mode is retained; it features a much more expansive content, including the addition of two weapon movesets from the male and female protagonists from Samurai Warriors: Chronicles in addition to the three from previous games. Custom characters can also be played in the new “Vagrant Mode”, where players can take requests for their custom generals. Story Mode is also revamped; it no longer uses the traditional story-per-character format from previous games and instead feature ten stories based on clans and prefectures during the Sengoku period, akin to the kingdom-based story mode implemented in the recent Dynasty Warriors games. Each stage offers a selection of playable characters for the player to use according to their participation in the battles; consequently, some characters do not appear in the story, although they still appear in the aforementioned Vagrant Mode. All of the stories lead to two separate stories: the “Unification”, which mainly tells the conflicts between the East and West armies, as well as the “Sanada clan” story, bringing closure to the Sengoku period. Morale remains an important factor for influencing enemy AI. Enemy morale can be decreased greatly by hunting and defeating the new bannerman units on the field. Characters have a smoother animation for mounting horses than previous titles. Edit characters have more customization options and star in their own mode called “Chronicle Mode”. Online co-op is available for all modes. Data can be transferred and saved between either PlayStation port of the title. Crossplay between the two ports is not supported. Save data from the Sengoku Musou 2 HD Collection can be used to unlock 10,000 gold in this game. Downloadable content so far include scenarios, costumes, and edit character parts. There are no secondary costumes in the vanilla game; players can only obtain alternates through DLC.